Little known new law is a must know for parents. Come this fall, a good portion of California's school kids could find themselves sitting at home on the first day of class. That's because of a new law centering around the whooping cough. AB 354 was passed in September of last year. It requires 7th through 12th graders to be immunized against pertussis (a.k.a. whooping cough) before they start school. It is a new state law not a policy set by a specific district. It is a requirement for both public and private school kids. 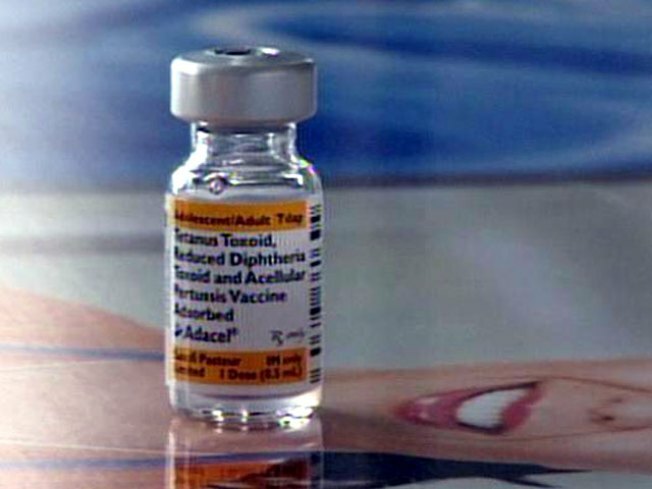 The California Department of Public Health's immunization branch says the law will affect 3 million students statewide. In order for a student to attend class in the fall, they must be vaccinated and the district must have proof of vaccination on file. District's are struggling to get the word out to parents in time. The San Jose Unified School District told the Mercury News just 4,500 of its 16,000 kids are vaccinated against whooping cough today. More than 7,800 cases of whooping cough were reported in California in 2010. That's the most since 1947. 10 infants died from the disease last year. According to Web MD: "Whooping cough is a disease that causes very severe coughing that may last for months...Whooping cough is contagious. This means it spreads easily from one person to another." Symptoms include: sneezing, runny nose, mild cough, watery eyes and sometimes a mild fever. In stage 2, it can become a severe cough that you cannot control. At times you may cough so long and hard that you cannot breathe and when you can take a breath of air, you make a whooping noise. Symptoms can last two to four weeks if not longer.